In a letter addressed to Oregon's Secretary of State, Democrat John Kitzhaber announced his resignation from the office of governor. "Effective February 18, 2015, at 10 a.m., I am resigning my position as governor of Oregon," Kitzhaber said in the letter obtained by KOIN. The resignation comes after Kitzhaber was embroiled in a scandal involving his fiancée. The Oregon Democrat was accused of using his influence to arrange deals for his fiancée's green energy consulting company. He was also accused of deleting thousands of emails relevant to the situation. Kitzhaber had faced mounting calls for his resignation, including many from his own party. 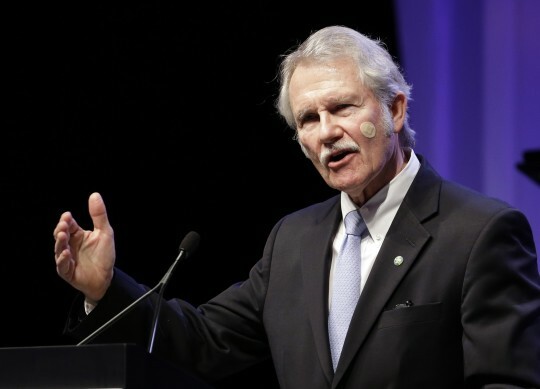 "It is not in my nature to walk away from a job I have undertaken–it is to stand and fight for the cause," Kitzhaber said in a statement to The Oregonian. "For that reason, I apologize to all those people who gave of their faith, time, energy and resources to elect me to a fourth term last year and who have supported me over the past three decades." "I understand that I have become a liability to the very institutions and policies to which I have dedicated my career and, indeed, my entire adult life. As a former presiding officer I fully understand the reasons for which I have been asked to resign."